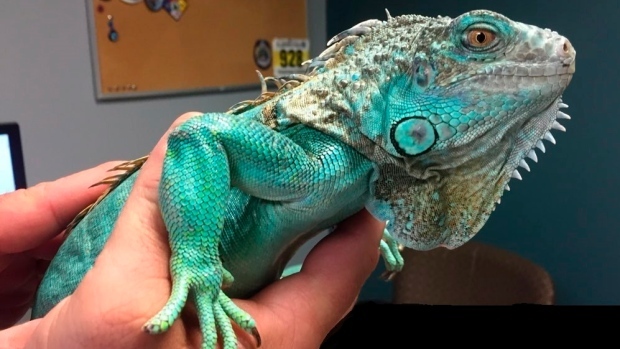 PAINESVILLE, Ohio -- Authorities say a customer at an Ohio restaurant pulled out a turquoise iguana from under his shirt, swung it around and threw it at the manager. Police say the Madison man walked into Perkins Restaurant in Painesville, about 30 miles (48 kilometres) northeast of Cleveland, on Tuesday. He laid down in a booth, threw a menu at a waitress then threw the lizard at the manager who tried to talk to him.